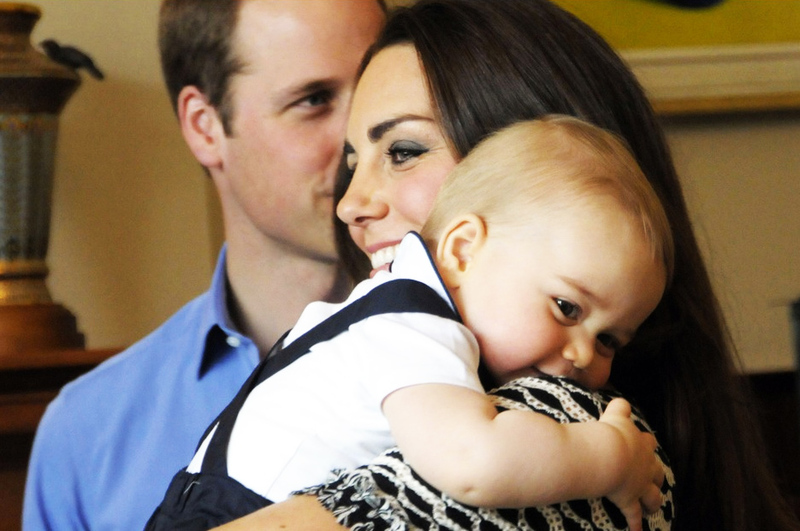 Prince George is Going to be a Big Brother! Today, Kensington Palace announced that the Cambridges are expecting a new addition to the family — royal baby number 2! Their Royal Highnesses The Duke and Duchess of Cambridge are very pleased to announce that The Duchess of Cambridge is expecting their second child. We all saw this coming. Despite the £4.5 million renovations done on Kensington Palace, Prince William and Kate Middleton are hightailing it out of London for greener pastures. He will start work at the area bases at Cambridge and Norwich airports in spring 2015, flying night and day shifts, which will allow for him and wife Kate, also 32, to live primarily at Anmer Hall, their 10-bedroom mansion near Sandringham. The home is undergoing renovations and it is known that the couple want to use it as their base. Although Kensington Palace is the main official residence, they will settle in their country home. “They want to live up there as much as possible,” a source close to them tells PEOPLE. Celebitchy — one of my favorite sites for celebrity/royal news — had a lot of good points to make. Like how their essentially creating a job for William out of thin-air… pun intended. Oh, and a commenter smartly pointed out that while his salary will be contributed to charity, it’s still a salary that could be given to other, non-royals, in need of a job pilots. I’m slowly becoming more and more over these two. What about you? 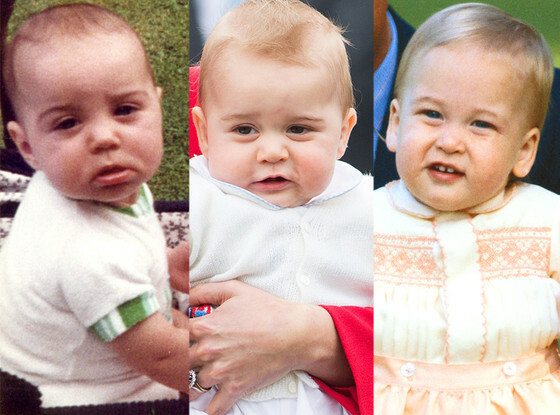 What do you think: Who does Prince George most resemble? Since his birth, or perhaps, even before, there’s been tons of speculation as to whether Prince George looks more like his mom, the Duchess of Cambridge, or his dad, Prince William. Lately it seems more and more media outlets have been leaning toward him looking like Prince William. 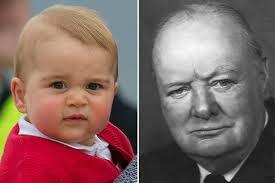 While Prince George and Prince William as a tot both have similar body language (lots of wiggling! ), and wear similar outfits (I’m all about classic baby looks, Prince George’s look is timeless chic…), I personally think he looks like a Middleton. The Queen celebrated her coronation anniversary the same day King Juan Carlos announced abdication. 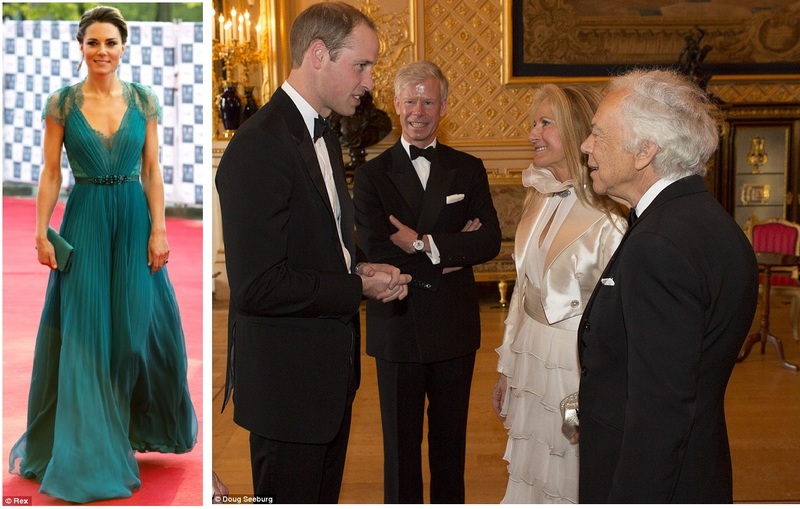 The Danish Royal Family celebrated Prince Consort Henrik’s 80th birthday. Crown Princess Victoria presented the Astrid Lindgren Memorial Award. King Carl XVI Gustaf attended veteran ceremony. Prince Felipe spoke at ‘Marques de Viana’ Awards. King Filip of Belgium met with President Barack Obama. Grace Kelly’s life in photos. 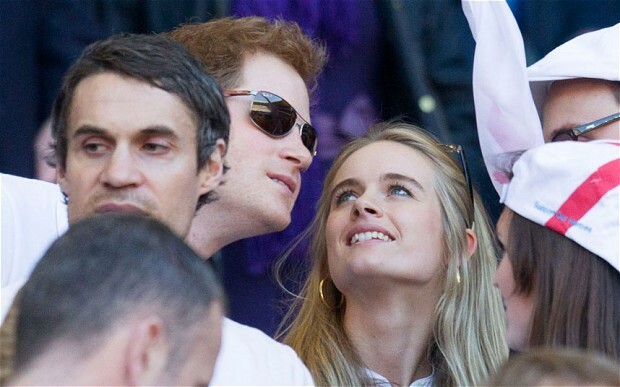 A thorough examination of Prince Harry’s love life; Past, present, and perhaps, future. Queen Maxima and Obama seemed to hit it off. This selfie will never get old. 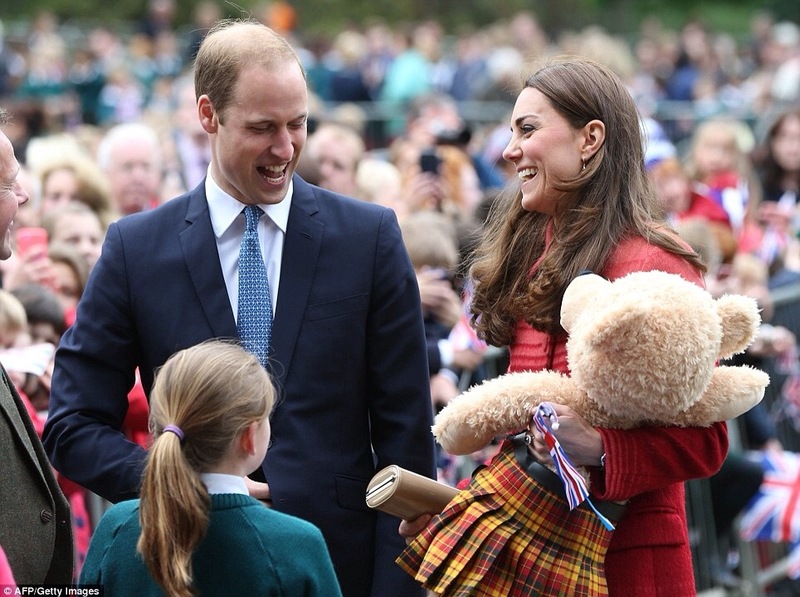 Prince William is worried about Kate overshadowing him at events. Things are rocky in paradise, the pair must only be together when absolutely necessary (royal tours). It just seems so suspicious. I understand in matters of, say, a doctor receiving an award and them not wanting Kate’s hair to steal the show, but when it’s a celebrity ball… isn’t it all about everything Kate brings to the table? Picture perfect gowns, snow-white teeth, dazzling jewels? Isn’t that half the fun of being a Princess? And isn’t that the kind of thing you look forward to doing with your husband (prince or not)? Bonus: Emma Watson looked stunning, and knowing this made her meeting with William that much better. 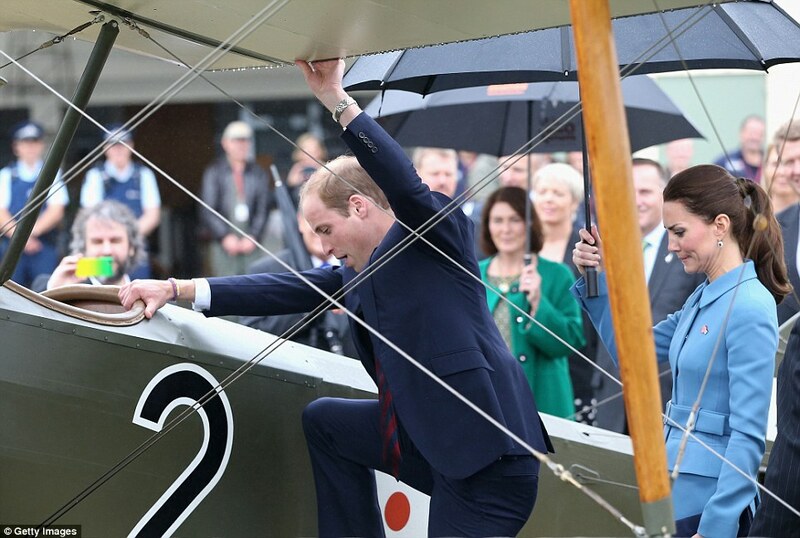 The Latest Buzz: Prince William flew among peasants; Prince Harry wants Cressida back; Where are Kate and George? People are praising Prince William after a US reporter tweeted a photo of the Prince flying ‘coach’ (a term Americans use for economy seating) on an American Airlines flight from Memphis to Dallas. In the words of Doge, Much brave. Nice save. Such peasant. Very relate. At first, I was actually impressed. I may have even been among those in appreciation of the Prince’s gesture, flying among the peasants and all… until I started looking into the whole thing. Here’s the thing, it was a flight from Memphis to Dallas. A flight lasting 1 hour and 30 minutes at most. Also, he’s sitting at the very front, and boarded privately from the rest of the passengers. Ok… but such domestic flights, especially when such a short distance, don’t even have options for First Class seating… the first couple of seats are merely considered First Class. But hey, after a trip that cost UK taxpayers a reported $84,000 for security of the young royals during their jaunt to the Memphis wedding. But footed the bill for the trip–aside from the security–themselves. Had Kate been with him, I highly doubt we’d have seen them fly coach, unless, of course, for PR purposes. Had William flown among us peasants in economy from Dallas to London, well then I’d be rather impressed. But he obviously didn’t, or we’d have that being shoved down our throats, too. Harry, however, was nowhere to be seen on William’s flight, which means it is still possible thetwerk-happy, newly single redhead returned to London on a gold-plated private jet piloted by Snoop Dogg, populated by the casts of the three most recent Real World seasons, and D.J.ed by an Avicii-Skrillex collaboration. Prince Harry plus Cressida equals? Drama. Lots of drama. The amount of conflicting reports, sometimes from the same news source (hello, Daily Mail! ), what are we really to believe? Was she ‘too needy’ or not? Is Prince Harry ‘bombarding‘ her with 15 texts a day? Does this have Kate’s fingerprints all over it? (Spoiler alert: probably.) Is it not over for the two? Who knows. I certainly hope so. I’m still pulling for Chelsy Davy… but that’s a story for another post, maybe later this week? I don’t think his camp needs to apologize for calling her needy because her camp has been treading on him in the press as well. She would have been a major headache had she married in because that family of hers has been doing nothing but courting the press and leaking since he started dating her. Notice how there are only paparazzi photos of her and engagement rumors when Harry is out of the UK. She also has been represented by StuartWattsPr since they began dating. Those were her intentions from the beginning. I don’t feel sorry for her she tried to play the game and she lost. Though I’d be lying if I said I expected to see them for months after their vacation grueling tour and all their work, I wish we could see a little bit of George in the country he will someday rule… but, seeing as how they pretty much hid him for 7 months after his christening, I’m an idiot to expect anything else. Maybe we’ll see him on his sixteenth birthday if the media continues to play into all of Prince William and Kate’s requests, maybe. Many are speculating that the ducal couple headed straight from Australia to yet another holiday, perhaps even Switzerland to ski. (Prince William was seen in the Swiss Air lounge in Chicago.) Love, Lola has a really good post about just this topic. I think skiing is anything but a vacation–holy workout!–but I also think the Royal Tour was anything but ‘a lot of work.’ But then again, I’ve never had to have my hair and makeup done every morning, don custom dresses, and collect dozens of bouquets from doting fans for a few hours everyday, so who am I to know the stress Kate must endure each day on behalf of the monarchy. So much gossip to process. I don’t even really know how I feel about it all. What are your thoughts?